Ander Herrera seems to be on the verge of heading to Paris Saint-Germain. The midfielder’s current contract with Manchester United is set to expire at the end of the season, which will effectively make him one of the hottest free agents in the upcoming summer transfer window. 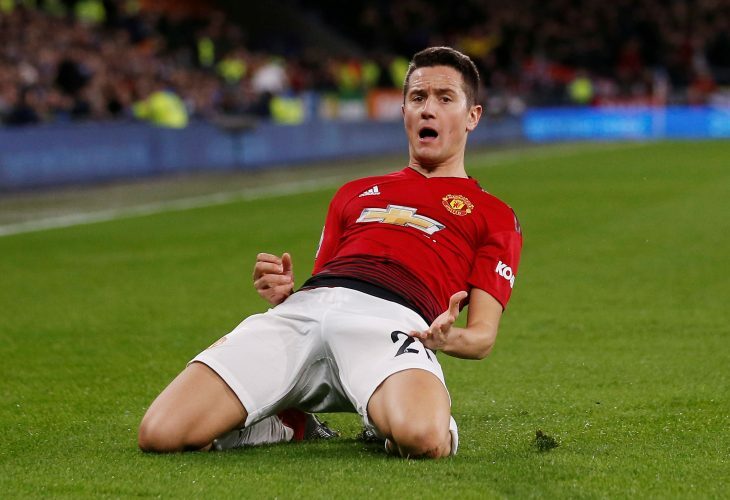 Herrera has drastically improved since the arrival of Ole Gunnar Solskjaer, and is currently a vital part of the interim boss’ plans at Old Trafford. His resurgence led many to believe that the Spaniard will extend his stay in Manchester, with reports claiming that he had already agreed a deal in principle with the 20-time English champions. But now, a shock report from The Sun has claimed that Herrera has taken a dramatic u-turn, and has decided to secure a free transfer to Paris Saint-Germain once the ongoing campaign comes to a close. With no transfer fee to cough up, the Parc des Princes outfit has offered the 29-year-old a bumper deal worth £150,000-a-week, and the ex-Athletic Bilbao star is expected to sign a three-year contract with the Ligue 1 giants. If this shock switch does indeed materialise, Manchester United could turn to PSG itself to sign a replacement for Herrera, by pursuing Adrien Rabiot. The Frenchman has already fallen out with the top official at the Parisian club, and like Herrera, will also be available on a free transfer come summer.